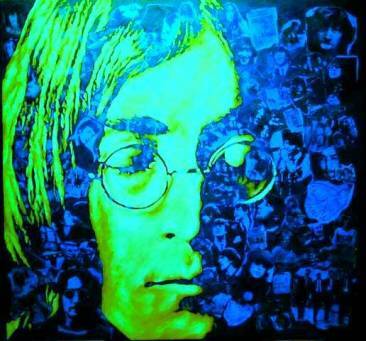 “Wouldn’t you like to see a positive LSD story on the news? To base your decision on information rather than scare tactics and superstition? Perhaps? Wouldn’t that be interesting? Just for once? Sacred medicines have been used for thousands of years for both mental and physical healing. Ayahuasca, an amazon tea is a good example as is San Pedro made from the San Pedro Cactus. Marijuana and Cannabis where household items in the US a hundred years ago. The Cannabis plant has a long history as a medicine, with historical evidence dating back to 2737 BCE, and is one of the 50 “fundamental” herbs of traditional Chinese medicine, prescribed for a broad range of indications. Both have and are used in reducing intra-ocular pressure for Glaucoma patients. Bearing in mind the massive role these substances have played in human development we should be asking ourselves, why they are illegal whilst drugs such as alcohol and tabacco are not? LSD was in fact legal in the 50′s and early 60′s and used for therapies by well know artists such as Cary Grant, Andre Previn, Jack Nicholson and James Coburn. Bill Wilson the founder of AA was a great fan of its use. In clinical experiments 50% of ‘NO HOPER’ alcoholics never touched a drop again, such was the psychedelic experience lifting them from their physical bodies, releasing all fears and worries, to arrive at the essence of their souls. Unfortunately such a powerful substance also attaracted the attention of the CIA who used it in their Project MK ULTRA. 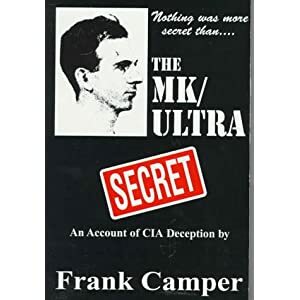 MK-Ultra, was a covert human research program into behavioral modification run by the Central Intelligence Agency’s (CIA) Office of Scientific Intelligence. The program began in the early 1950s, was officially sanctioned in 1953 and finally halted in 1973. It controversially used unwitting U.S. and Canadian citizens as its test subjects. MKUltra involved the use of many methodologies to manipulate people’s individual mental states and alter brain functions, including the surreptitious administration of drugs (especially LSD) and other chemicals, hypnosis, sensory deprivation, isolation, verbal and sexual abuse, as well as various forms of torture. Ayahuasca is a tea made from a combination of legally available plants that produce a profound alteration in consciousness. It has been used for thousands of years by South American shamans, and is currently used as a sacrament in at least two Christian based religions in with world wide memberships. It is noted for the power of the experience it produces, and the tendency for it to facilitate positive personal change in those that consume it. It is non-addictive, non-toxic, and in its classical forms, produces no physical or psychological harm to the users. The primary drug involved is N,N-dimethyltryptamine (DMT), a natural substance that is in the bodies of all mammals, and one of the most powerful hallucinogens known. DMT is extracted from any one of the plants that contain it by brewing it in water that has been made slightly acidic, in effect making tea. Once the tea is made it is considered illegal in most western countries because it contains DMT, which was made illegal as a manufactured hallucinogen before its existence was known in the plant form, ayahuasca. ‘THE SPIRIT MOLECULE weaves an account of Dr. Rick Strassman’s groundbreaking DMT research through a multifaceted approach to this intriguing hallucinogen found in the human brain and hundreds of plants, including the sacred Amazonian brew, ayahuasca. 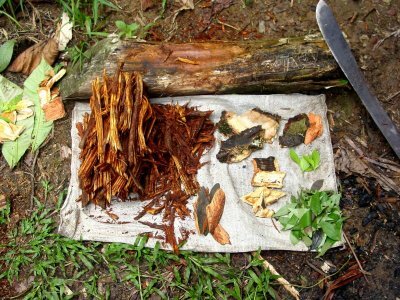 Utilizing interviews with a variety of experts to explain their thoughts and experiences with DMT, and ayahuasca, within their respective fields, and discussions with Strassman’s research volunteers, brings to life the awesome effects of this compound, and introduces us to far-reaching theories regarding its role in human consciousness. Several themes explored include possible roles for endogenous DMT, its theoretical role in near-death and birth experiences, alien-abduction experiences, and spiritual states, both within Eastern concepts of enlightenment and Western ideas regarding prophecy, and the uncanny similarities in Biblical prophetic texts describing DMT-like experiences. Our expert contributors offer a comprehensive collection of information, opinions, and speculation about indigenous use of DMT, the history and future of psychedelics within the research community, and within the larger social matrix, and current DMT research. All this, to help us understand the nature of the DMT experience, and its role in human culture and evolution. I am really looking since long time for good reliable information about hallucinatory substances. as therapist i want to know how this kind of substances works and its impacts. and sometimes it may perhaps even be helpful to experience the working of a substance on your own body. so if anyone has information, i would appreciate to hear. Although this is interesting and valid information, I pose a serious question. From my studies of higher consciousness so far, the message seems clear – that within each and every one of us is everything we need to connect to “source.” Why then would I need to introduce a substance to create higher consciousness? Is it possible that I can achieve the same results with my own body chemistry aligned properly with source? And, if so, is it possible that people can come to rely on a substance to achieve this result, possibly causing a false consciousness? I seriously would like to know if people such as Wayne Dyer and Deepak Chopra, who have earned my respect, endorse use of substances outside of ourselves to create a higher consciousness. Hi Ralph. Thanks for your valid and articulate comment. I do not believe WD or DC would endorse substances however the theories and philosophy of Terrance Mckenna are interesting and reached whilst using Psychedelics. Unfortunately not all humans are able to reach a higher consciousness you discuss and miss out life after life. Could they therefore be, when used in a non recreational way, a ‘kick start’ to the next level? A way to create the exponential consciousness shift required to avoid the tipping point humanity could be heading towards as a result of exponential shifts in population, technology, EGO, money supply ect etc ? I don’t know but its an interesting question.